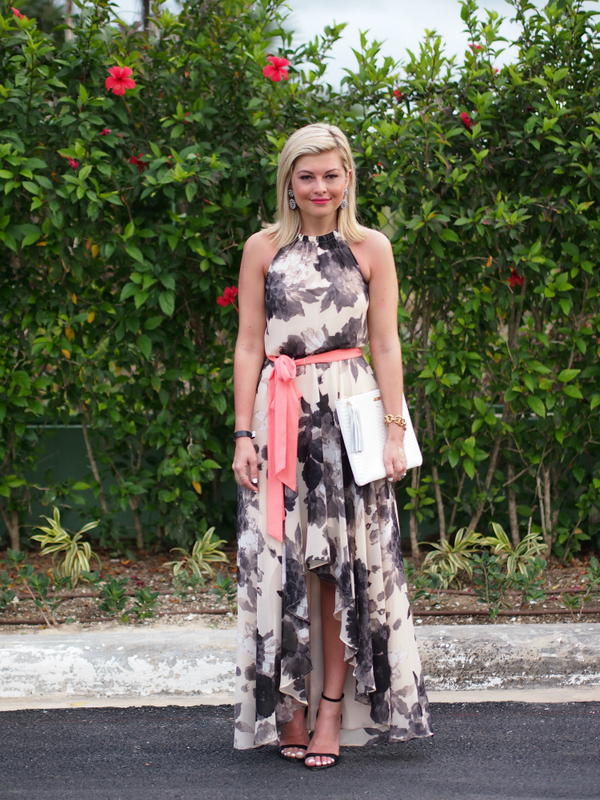 This was one of my favourite items I wore to dinner last week in Punta Cana. Try not to pay attention to my slicked-back sweaty 'do. It was over 30 degrees at that point and trying to look glamorous in those kind of temps didn't come as natural as I'd hoped since we've been used to -30 degrees for the past few months. Gorgeously feminine dress! I love the pop of color with the belt to accentuate your waist. So soft and pretty! You look radiant Krystin. You look beautiful.. Loving that dress on you. You look stunning.. and I love this dress! I love that maxi dress! Gorgeous! i am obsessed with this dress, and all eliza j dresses actually! i wanted to wear one for my rehearsal dinner (this one in particular) as it matches the colors of my wedding! love seeing it on someone! makes it easier to decide! Pretty accessories! That dress is really flattering on you. Adore this outfit! So gorgeous. Also, those flash tattoos are so fun :) Love 'em! This dress is amazing! Favorite vacay look yet!